The ability to comfortably navigate and create a database is a relevant job skill. If your students are fluent in database creation and implementation, they will save employers time and money, ensuring the company’s information is efficiently organized. Microsoft Access 2013 is one of the most prevalent database platforms on the market. Find an appropriate template. 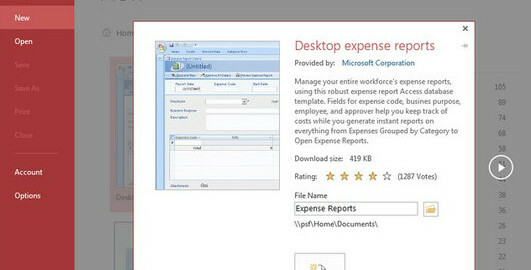 Once Microsoft Access is open, you can search their templates for a version that is appropriate to their desired task, such as accounting, sales, or expenses. Students can search and find a template that works for them. Name and select the database. Name the database as accurately as possible so it is easy to find and retrieve later. Then select it and open it up. Students may need to “enable” the template in order to use it to its full capacity. Begin exploring and working with the database. Now, it’s your students’ turn to play around a bit. Have them open the Navigation Pane, which will provide a dropdown list of the tables, forms and reports that are relevant to that particular template. The more they explore, the more adept they will become at creating task-specific databases of their own. Visit us online to find resources to facilitate your Microsoft Access instruction. We invite you to contact us at Labyrinth Learning to learn more about our educational services.